Brooke Henderson is Senior Vice President of Sales at Advice Local, bringing skills and a work ethic that began as a 16-yr-old employee at her father’s business. From digging trenches – yes, literally – to building satellite systems and selling, she has focused her considerable sales and client-focused expertise solely on Local Search since 2013. Brooke says: I get great satisfaction in educating businesses on Local Search; how to best sell and support their clients in one of the most important aspects of marketing local! First introduced to search in 2004, it was love at first sight! 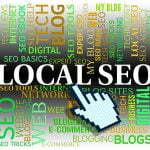 Brooke learned and practiced SEO in multiple industries, including software development and telecommunications. This led to her becoming a partner at Local Roll Call, a small digital marketing agency, where she handled sales, operations, client management, social media marketing, SEM & SEO campaigns. In this industry, there is never a dull moment! When not working, Brooke loves spending time with her husband and kids, the pups, and anyone else hanging around. They love the beach and water life, and if the time is right, look for Brooke out on the links. 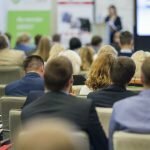 Read the session descriptions and meet the speakers – Lance Bachmann, Moosa Hemani & Michelle Stinson Ross. 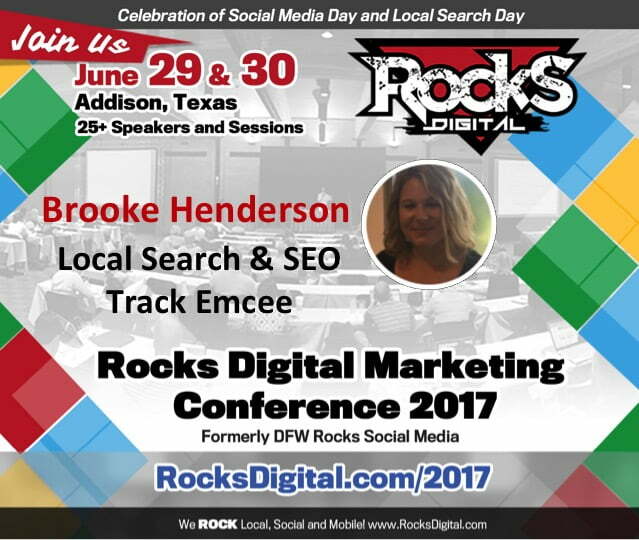 Let’s Rock Local Search and SEO at Rocks Digital 2017!